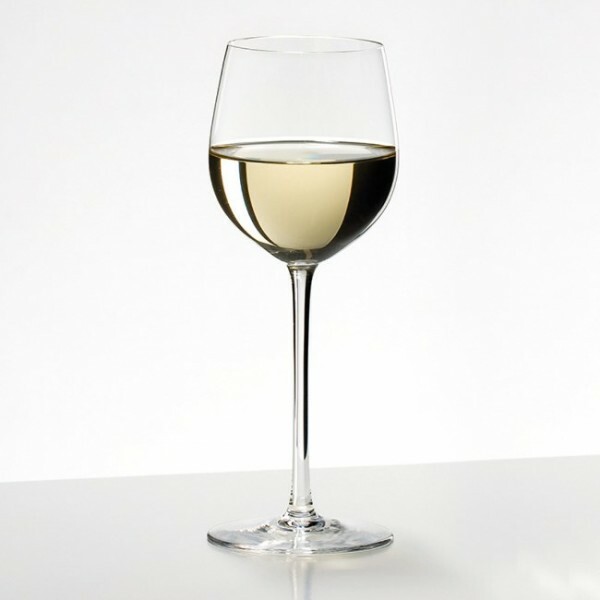 Riedel Sommeliers Alsace Glass (P/N 4400/05). This stately glass rises from the table on a stem 1.5 times the height of the bowl, bringing the peachy, floral aromas of Alsace closer to the nose. Highly skilled artisans execute the 2000-year-old art of mouth-blowing glass to create 24% leaded crystal bowls. 7-5/8" tall, with a maximum capacity of 8-5/8 oz. Recommended for: Aligote, Chasselas, Chenin blanc, Cortese, Fumé Blanc, Furmint (dry), Gewürztraminer, Gutedel, Kerner, Melon de Bourgogne (Muscadet), Müller-Thurgau, Muskateller, Muskat-Ottonel, Neuburger, Palomino (except Sherry), Pedro Ximenez, Pinot (Blanc, Grigio, Gris), Ribolla gialla, Rotgipfler, Rulander, Sancerre, Sauvignon blanc, Soave, Tokay, Trebbiano, Vin de Savoie (white), Zierfandler.